Arthur Moeller van den Bruck was one of the most important, perhaps even the single most important, figure of what is known as the “Conservative Revolution” in early 20th century Germany. His influence on conservative German thought, despite its limitations, is deep and lasting, carrying on even into the present day. Indeed there may be some truth to the mystical declaration made by his wife: “In trying to account for the question who was Moeller van den Bruck, you are really addressing a question to Germany’s destiny.” An examination of his life and philosophical thought is an examination of one of those great forces in the realm of ideas that moves nations. And it is for the value to any nationalist or conservative inherent in such an examination that we aim to accomplish that here concisely. Arthur Moeller van den Bruck was born on April 23, 1876 in Solingen in the Rhineland area of Germany. At the age of sixteen, Moeller van den Bruck (we will hereafter shorten his last name to Moeller) was expelled from the Gymnasium which he was attending at Dusseldorf due to the fact that he was indifferent in his classes, which was a result of his preoccupation with German literature and philosophy. This expulsion did not stop him from continuing his literary studies and he even attended lectures at several intellectual centers, despite not being able to enter a university. Friedrich Nietzsche’s (and to some extent also Paul de Lagarde’s and Julius Langbehn’s) philosophy had a powerful influence on Moeller’s thought in his youth, and shaped his views of Bismarck’s Second Reich, a state which he found disagreeable because of its “forced patriotism.” At this time, Moeller was extremely “un-political” and decided to leave Germany in 1902 for some time to avoid military service. The first location to which he traveled was Paris, where he began the writing of an eight-volume work titled Die Deutschen: unsere Menschengeschichte (“The Germans: Our People’s History”), published from the years 1904 to 1910, which was a cultural history that classified significant Germans according to characteristic psychological types. Supplementing Die Deutschen, Moeller published in 1905 Die Zeitgenossen (“The Contemporaries”), which presented his concept of “old peoples” and “young peoples,” an idea which he would reassert in later notable works. During this time he also acquired a fascination with Fyodor Dostoevsky’s work and also an admiration for the “Eastern[Russian] spirit,” which motivated him to produce a German translation of Dostoevsky’s works with the help of Dmitry Merezhkovsky. From the years 1912 to 1914, Moeller had traveled throughout various nations, particularly through Italy, England, Russia, and Scandinavia, having originally planned to write books describing the prime characteristics of certain nations, but he ultimately only finished a book on Italian art titled Die Italienische Schönheit (“The Italian Beauty”) in 1913. In 1919, Moeller produced another of his famous works known as Das Recht der Jungen Völker (“The Right of Young Peoples”), which reasserted his idea of “young peoples” and “old peoples” in a new form. In this theory, peoples or nations (Völker, which is the plural form of Volk) differed in “age,” which means not age in years or actual time but rather in their character and behavior. “Young peoples,” which included Germany, Russia, and America, possessed a high amount of vitality, hard work, will-to-power, strength, and energy. “Old peoples,” which included Italy, England, and France, were saturated, highly developed, valued “happiness” over work, and generally had a lower amount of energy and vitality. According to Moeller, the destiny of peoples would be determined by the “law of rise and decline of nations,” which held that “all aging states relentlessly sink down from their hegemonial positions.” However, “young peoples” could be defeated in war by a coalition of “old peoples,” as Germany had been in World War I, although this would not crush a “young people” if the resulting conditions would still leave that nation with the ability to exist and grow. Consequently, Moeller advocated an alliance between Germany, America, and Russia, hoping that with this effort Wilson’s “Fourteen Points” could be implemented and Germany would live under reasonable conditions. However, the resulting peace treaty was the Versailles Treaty and not the Fourteen Points. In Das Recht der Jungen Völker Moeller also included some earlier writing he had done on the subject of race. Moeller believed that humans could not be divided into races solely by anthropology because Man is “more than nature.” He had a peculiar idea of race which presented a dichotomy between Rasse des Blutes (“Race of the Blood”), which refers to the common biological concept of race, and Rasse des Geistes (“Race of the Spirit”), which refers to psychological or “spiritual” character which is not hereditarily determined. Moeller argued that because peoples of the same biological race could have significant differences between each other, the English and the Germans being an example of this, “race of the blood” was not as powerful or important as a “race of the spirit.” Conversely, it was also proven by the fact that a people could be made of up of a mixture of races, such as the Prussians (who were the result of an ancient Slavic-Germanic mix), yet still have a positive and unified form; although, of course, it should be noted that despite this commentary, Moeller would certainly have not approved of any European group mixing with non-European (i.e. non-white) races. In 1919, Moeller founded, along with Heinrich von Gleichen-Russwurm and Eduard Stadtler, the “neoconservative” (an alternative term for “revolutionary conservative”) group known as the Juniklub (“June Club”), an organization of which Moeller would soon become the key ideological leader. In early 1920, the June Club invited Oswald Spengler to discuss his book The Decline of the West with Moeller van den Bruck. Moeller and Spengler agreed on some basic issues, including the basic division between Kultur (“Culture”) and Zivilisation (“Civilization”), but had some significant disagreements as well. Not only that, but history resembled a “spiral” rather than a “circle,” and a nation in decline could actually reverse its decline if certain psychological changes and events could take place within it. In fact, Moeller felt that a nation like Germany could not even be classified as “Western” and even had more in common, in terms of spirit, with Russia than it did with France and England. In 1922, Moeller, along with his two friends Heinrich von Gleichen and Max Hildebert Boehm, published a collection of their articles in the form of a book titled Die Neue Front (“The New Front”), which was intended to be a manifesto for young conservatives. One year later, however, Moeller would publish his own manifesto, Das Dritte Reich (“The Third Empire,” translated into English as Germany’s Third Empire), which contained the most comprehensive exposition of his worldview. He began the book with a declaration of the ideal of the Third Empire which Germany had the potential to establish while simultaneously giving a warning that Germany must become “politically-minded.” In the first chapter he discussed the German Revolution of 1918 which established the Weimar Republic, declaring that this revolution introduced un-German political ideas which were imposed by the foreign powers of France and England, and that it must be overcome by a new, conservative and nationalist revolution. The succeeding parts of Germany’s Third Empire would examine the four typical ideological types – Revolutionary, Liberal, Reactionary, and Conservative – in Germany and their essential attitudes and ideas. The materialist conception of history, which gives economics greater weight than man, is a denial of history; it denies all spiritual values. . . . Man revolts against the merely animal in himself; he is filled with the determination not to live for bread alone – or, at a later stage, not alone for economics – he achieves consciousness of his human dignity. The materialist conception of history has never taken cognizance of these things. It has concentrated on half man’s history: and the less creditable half. Thus Marxism, because it was founded upon such ideas, made the error of conceiving of man as a soulless animal guided merely by economic motives, while in reality higher spiritual forces and ideas guided his actions. Furthermore, Marx failed to understand that there could be no international proletariat because people, whether they were proletariats or not, were differentiated by belonging to different Völker (this is often translated as “nations,” but may also be understood as “ethnicities”). However, socialism itself was not limited to Marxism and in fact, “international socialism does not exist . . . socialism begins where Marxism ends.” Moeller called for the recognition of the fact that “every people has its own socialism” and that a conservative “national socialism” of German origin existed which should be the foundation of the Third Empire. Moeller also defied Marx’s concept of the proletariat as well as his concept of class warfare, asserting that “the proletarian is a proletarian by his own desire.” Thus the proletariat in the Marxian sense was not a product of his position in capitalist society, but merely of “the proletarian consciousness.” Socialism is a “population problem,” which is the “the most urgently socialist question conceivable” and which Marx was incapable of giving proper recognition to. In place of the liberal-republican concept of democracy, Moeller offered a new idea: “The question of democracy is not the question of the Republic” but is rather something that comes into being when the people “take a share in determining their own Fate.” Germans had originally been a democratic people in ancient times, which had nothing to do with theoretic rights or even voting, but rather with the bond of peoplehood and with the monarch executing the people’s will. The reactionary’s reading of history is as superficial as the conservative’s is profound. The reactionary sees the world as he has known it; the conservative sees it as it has been and will always be. He distinguishes the transitory from the eternal. Exactly what has been, can never be again. But what the world has once brought forth she can bring forth again. He[the conservative] has no ambition to see the world as a museum; he prefers it as a workshop, where he can create things which will serve as new foundations. His thought differs from the revolutionary’s in that it does not trust things which were hastily begotten in the chaos of upheaval; things have a value for him only when they possess certain stability. Stable values spring from tradition. Consciousness of nationhood means consciousness of a nation’s living values. Not only those are Germans who speak German, or were born in Germany, or possess her citizen rights. Conservatism seeks to preserve a nation’s values, both by conserving traditional values, as far as these still possess the power of growth, and by assimilating all new values which increase a nation’s vitality. A nation is a community of values; and nationalism is a consciousness of values. It is of interest to note here that liberal-egalitarian intellectuals oftentimes claim that nationalists believe that a nation is a totally unchanging entity in terms of character, while Moeller’s concept of conservatism and nationalism, as explained above, entirely defies these anti-nationalist prejudices. Similarly, Moeller’s associate, the influential volkisch (“Folkish”) thinker Max Hildebert Boehm, held the view that a Volk was not an unchanging organism but always in a state of flux. Finally, Moeller declared that “The crumbling state threatened to bury the nation in its ruins. But there has arisen a hope of salvation: a conservative-revolutionary movement of nationalism.” It will establish a “Third Empire, a new and final Empire” which would unite the German people as a whole, would be founded upon conservative values and the love of country, and would resolve Germany’s economic and population problems. However, Moeller emphasized that the aim was not to fight only for Germany’s sake, but in fact “at the same time he[the German nationalist] is fighting for the cause of Europe, for every European influence that radiates from Germany as the centre of Europe.” Thus, the fulfillment of German destiny would mean the salvation of Europe. 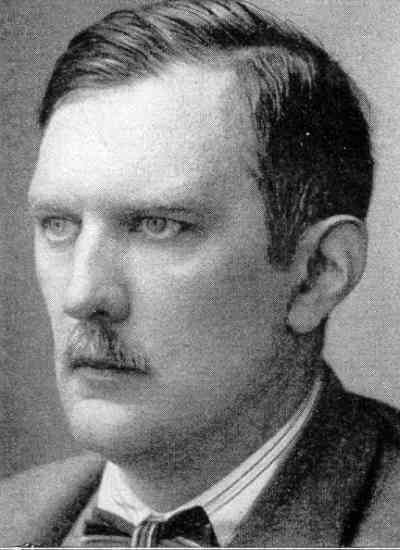 Moeller’s grand vision for the future of German nationalism and conservatism had much influence among right-wing groups in Germany and was critical in the development of “revolutionary conservatism.” However, his most prominent influence was on Hitler’s National Socialist movement, even to the extent that Moeller is oftentimes said to be a precursor of National Socialism. Although the term “Third Reich” did not originate with him, it was he who popularized it during the Weimar Republic and was the source from which the National Socialists adopted it. Furthermore, Moeller’s concept of a Leader who identifies with the nation, the concept of a “national socialism,” his anti-liberalism, and his belief in the importance of nationality all bear an obvious relationship to Hitler’s National Socialism. However, on the other hand, these ideas are certainly not unique to either Moeller or Hitler, and in fact predate both of them. There are also conspicuous differences between Moeller’s worldview and Hitler’s. Moeller did not share Hitler’s anti-Slavism or his particular racial views, nor were his anti-Jewish attitudes as strong as Hitler’s, even though he recognized Jews as a problem. According to Otto Strasser, another associate of Moeller, Hitler also did not understand Moeller’s phrase “We were Teutons, we are Germans, we shall be Europeans,” which meant that Germany should become “a member of the great European family” Yet in spite of all this, Hitler still admired Moeller and a signed copy of his Das Dritte Reich was found in Hitler’s bunker in 1945. German nationalism fights for the possible Empire . . . . We are not thinking of the Europe of Today which is too contemptible to have any value. We are thinking of the Europe of Yesterday and whatever thereof may be salvaged for Tomorrow. We are thinking of the Germany of All Time, the Germany of a two-thousand-year past, the Germany of an eternal present which dwells in the spirit, but must be secured in reality and can only so be politically secured . . . . The ape and tiger in man are threatening. The shadow of Africa falls across Europe. It is our task to be guardians on the threshold of values. Lucy Moeller van den Bruck as quoted in Fritz Stern, The Politics of Cultural Despair (Berkeley & Los Angeles: University of California Press, 1974), p. 184. Gerhard Krebs, “Moeller Van Den Bruck: Inventor of the ‘Third Reich,’” The American Political Science Review, Vol. 35, No. 6 (Dec., 1941), pp. 1085–86. Klemens von Klemperer, Germany’s New Conservatism; Its History And Dilemma In The Twentieth Century (Princeton: Princeton University Press, 1968), pp. 154–55. Krebs, “Moeller Van Den Bruck,” p. 1093. Kemperer, Germany’s New Conservatism, p. 155–56. Moeller, Der preussische Stil (Munich, 1916), p. 202. Quoted in Klemperer, Germany’s New Conservatism, p. 156. Moeller, Das Recht der Jungen Völker (Munich: R. Piper & Co., 1919). Moeller as quoted in Krebs, “Moeller Van Den Bruck,” p. 1093. Klemperer, Germany’s New Conservatism, pp. 158–59. On Moeller’s racial views, see Stern, Politics of Cultural Despair, pp. 142–43, 187, and Alain de Benoist, “Arthur Moeller van den Bruck: Une ‘Question a la Destinee Allemande,’” Nouvelle Ecole, Paris, 35, January 1980, http://www.alaindebenoist.com/pdf/arthur_moeller_van_den_bruck.pdf, pp. 13 & 35. Klemperer, Germany’s New Conservatism, p. 103. Benoist, “Arthur Moeller van den Bruck,” p. 28. Moeller, Das Recht der Jungen Völker, pp. 11–39. Quoted in Zoltan Michael Szaz, “The Ideological Precursors of National Socialism,” The Western Political Quarterly, Vol. 16, No. 4 (Dec., 1963), p. 942. Moeller as quoted in Stern, Politics of Cultural Despair, p. 239. Benoist, “Arthur Moeller van den Bruck,” pp. 13, 27–30. Klemperer, Germany’s New Conservatism, p. 232 and Krebs, “Moeller Van Den Bruck,” p. 1087. Moeller, Germany’s Third Empire (Howard Fertig, New York, 1971). Note that a new edition of this work in English has recently been published by Arktos Media (London, 2012). Ibid., pp. 60, 74, 160. See Oswald Spengler, Selected Essays (Chicago: Gateway/Henry Regnery, 1967) and Werner Sombart, Economic Life in the Modern Age (New Brunswick, NJ, and London: Transaction Publishers, 2001). Moeller, Germany’s Third Empire, pp. 160–62. Max Hildebert Boehm, Das eigenständige Volk (Göttingen: Vandenhoek & Ruprecht, 1932). Moeller, Germany’s Third Empire, p. 248. Klemperer, Germany’s New Conservatism, pp. 153, 161–62. Moeller as quoted in Stern, Politics of Cultural Despair, p. 238. Otto Strasser, Hitler and I (Boston: Houghton Mifflin Co., 1940), pp. 39 & 217. Cyprian Blamires, World Fascism: A Historical Encyclopedia, Volume 1 (Santa Barbara, Cal. : ABC-CLIO, 2006), p. 431. Stern, Politics of Cultural Despair, p. 266 and Benoist, “Arthur Moeller van den Bruck,” p. 49. Moeller, Germany’s Third Empire, p. 264. Published: August 17, 2012 | This entry was posted in North American New Right and tagged Adolf Hitler, Arthur Moeller van den Bruck, articles, conservatism, conservative revolution, Dmitry Merezhkovsky, Friedrich Nietzsche, Fyodor Dostoevsky, Germany, Karl Marx, Lucian Tudor, National Socialism, nationalism, North American New Right, originals, Oswald Spengler, socialism, World War I. Both comments and trackbacks are currently closed. Evola did not get along that well with the Nazis either – they had the inevitable limitations of any mass movement – and any direct criticism of them was impossible under the circumstances. And for their part, they recognized him as an Aristocrat of the old type and thus unsuitable to what they were trying to do. He might have had a place in the new order had the war been won of course. I do believe Moeller is pointing towards race of the spirit, and not just the race of body and soul. I know he says that, but history as a spiral and not a circle makes the future open and not an endless wheel. Body and soul are one entity, but spirit awakened is entirely of another nature. I have not read much Evola yet, but I do think he makes that distinction. This to me is associated with Nietzsche’s “There was only one Christian and his name was Jesus” which I took to mean that the spirit is within. We are all called to become that spirit. (not become Jesus) The spirit of the white race then is an essence within the people. That changes the game. Some invisible ‘entity’ that is the mark of whiteness. I think some people confused it with the mark of Cain, hence all that yabber about repentance. Why should one repent for becoming who you are? It’s a continuous evolution towards God. Cain killed his brother, I didn’t. I guess that is called insolence. Oh well. Moeller placed this essence on earth, in a place and within a a people and not some abstract ethereal space forever beyond reach. Poor guy, no wonder he had a breakdown. That sure is not what the church teaches. Sinners all. I should note that Moeller himself seems to have been a kind of unorthodox Christian from what I can make out from his writings. It does seem possible, as you have suggested, that Moeller believed race had a metaphysical aspect. However, it is important to remember that his concept of race has some key doctrinal differences from Julius Evola’s concept despite the apparent similarities. Moeller himself was more concerned with psychological character when he spoke of a “race of the spirit” (which corresponds, for the most part, with Evola’s “race of the soul” concept). Personally, I find Evola’s racial doctrine to be more complete and useful, although both thinkers have some importance in advancing our understanding of race as both a biological and spiritual entity. I had never thought of race having a spiritual property until reading your essay. I suppose it is possible. We are made of body, soul and spirit and in Genesis Ch 49 v1, which reads, And Jacob called unto his sons, and said, Gather yourselves together, that I may tell you that which shall befall you in the last days the implication is that his sons would grow into nations and each nation would have its own characteristic. The individual son would have a spiritual quality so why not his national offspring? Definately a subject worthy of some study. Moeller made the common error of seeing how the Spirit of the Age went against the inherent greatness of the Race at the level of soul and spirit, particularly spirit. The German people – at THAT time – were not ready for what he had to offer. If only he had survived until the 1933 Elections, and to see the 1936 Olympics. This is a theme that appears all too often in people who have the Quickening, SEE what is possible as part of the Awakening, and commit suicide because they believe they have failed in their duty to the Vision granted them. In fact, they didn’t. They simply arrived too soon. We owe them the honor of carrying the best of their offerings forward in our Time. Sending money to counter-currents regularly would be an excellent start. Yes, and even from any religious perspective, race can have a “meta-biological” component. Even from a non-religious viewpoint, one would have to admit upon reflection that not everything about a person’s character is determined by biology and genetically inherited traits. Therefore, both the individual person as well as the person’s racial type must have something to it that is not biologically determined; something either psychological or metaphysical, or both (a non-religious person or an atheist would obviously not go beyond psychological). I believe that this subject is best approached by speaking of the components of biology and psychology (beyond what is genetically influenced) and simply suggesting the supernatural/metaphysical aspect (which would exist specifically from a religious viewpoint), because the nature of the latter depends on one’s personal beliefs and thoughts. Authors I know of that have expressed these kinds of ideas in some manner include Julius Evola (who is the most popular), Arthur Moeller van den Bruck (whom we have discussed), Ludwig Ferdinand Clauss, Alfred Rosenberg, Oswald Spengler, Francis Parker Yockey, Edgar Julius Jung, Ernst Krieck, and more recently you have New Right figures such as Michael O’Meara, Tomislav Sunic, and Alexander Jacob. Some of these are Christian, some of them are not. The idea is certainly worth studying because it improves our understanding of who and what we are, racially speaking. Yes, Moeller did make some good remarks critiquing liberalism. Although, I must note to the audience that it would be a good idea to look at other critiques of liberalism as well (such as those made by Evola, Sunic, etc.) because Moeller’s criticisms are actually incomplete. This is a good point. The Nazis should have done what the communists did and sent agents into neighboring lands to spread propaganda and spark revolutions. National Socialism should have been a European ideology, not just a German one. Yes, Hitler’s National Socialism had many positive qualities but also unfortunately some key negative qualities as well (such as their hostility to many non-German European groups). This was, essentially, the tragedy of National Socialism, and I personally believe that it needs to be recognized if we are going to make any intellectual progress. This certainly does not mean that German National Socialism is inherently bad or that we cannot learn a lot from studying it, but it does mean that we need to distinguish the positive from the negative and recognize that both qualities exist in the ideology and had an impact on its policies and therefore history. I, personally, do not like ‘conservatives’; my reasons are varied, and encompass a myriad of empirical reasoning. The term ‘conservative’, in relation to your essay is absolutely the polar opposite of modern [american] conservatism; in point of fact, Revolutionary Conservatism ( I like this term) is, essentially, what White Nationalism claims – as true White Nationalism seeks the reinsertion of ‘Radical Traditionalism’, and promotes the essence of Race, and all its derivatives, balanced on the belief that a ethno-state, or Territory (the ’empire’ of Moeller? ), is the penultimate issue, second only to the extension of ‘blood and bone’. Anyone who has read de Lagarde, or Julius Langbehn knows, beyond the shadow of a doubt, that not ONE american conservative would embrace the world-view of either of these men, let alone Spengler; the modern ‘conservative’ is a coward – worse, he is ignorant. In my opinion, you caught the power and implications of radical traditionalism, and certainly men like Moeller have a place in our pantheon. Lessons from the past are worthy of emulation, but let us strive to develop, and introduce, those ways and means which are best suited for our Kinsmen, here, on this continent. Looking forward to more of your essays. Thank you for the compliments; I’m glad to see my work is appreciated. Unfortunately, I only produce essays every now and then when I have a lot of spare time, but you will see some more in future months. Concerning the issue of conservatism, I have similar views as you. Oftentimes those who call themselves “conservative” in Western nations like America are what Moeller would have seen as pseudo-conservative liberals. Occasionally, of course, there are certain unique people who call themselves “conservative” such as Paul Gottfried that are generally agreeable. There is no real “conservatism” in America today, but only two branches of liberalism. However, I believe that American paleoconservatism remains interesting, even if it has become marginalized from the realm of practical politics. But several paleoconservatives have sympathetically referenced thinkers of Germany’s Conservative Revolution, including Spengler and Moeller van den Bruck, on occasion. I think Tomislav Sunic might have characterized Richard M. Weaver and the Southern Agrarians as “revolutionary conservatives” in his book Homo americanus.